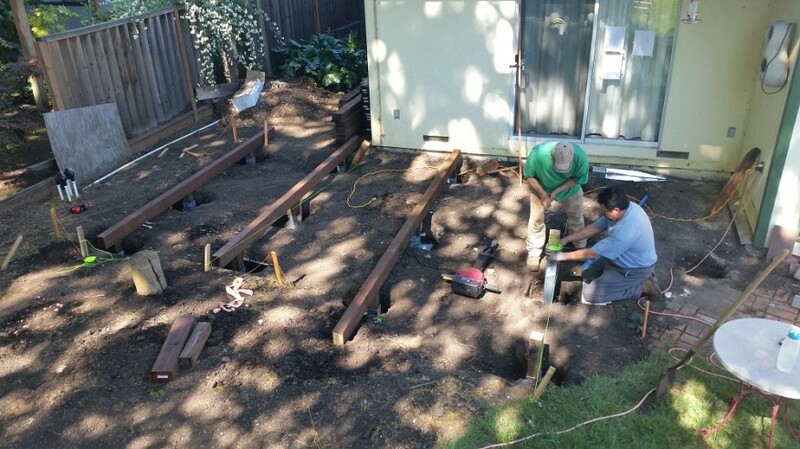 This grade-level freestanding deck is supported by metal post anchors and steel plates instead of concrete piers. What do you think about when you imagine a perfect summer night at home? Perhaps a barbecue party in your backyard, with all your friends and family around? Or maybe a quiet evening with a book and a cup of coffee among trees and rose bushes in your garden? Are Pavilions & Pergolas a part of the dream? 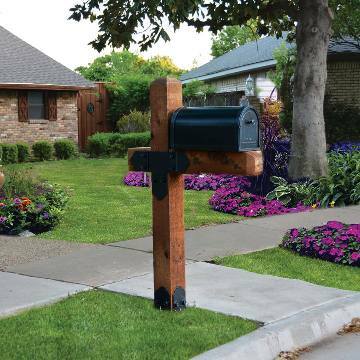 Add a unique touch and curbside appeal to your yard by building your very own mailbox post! 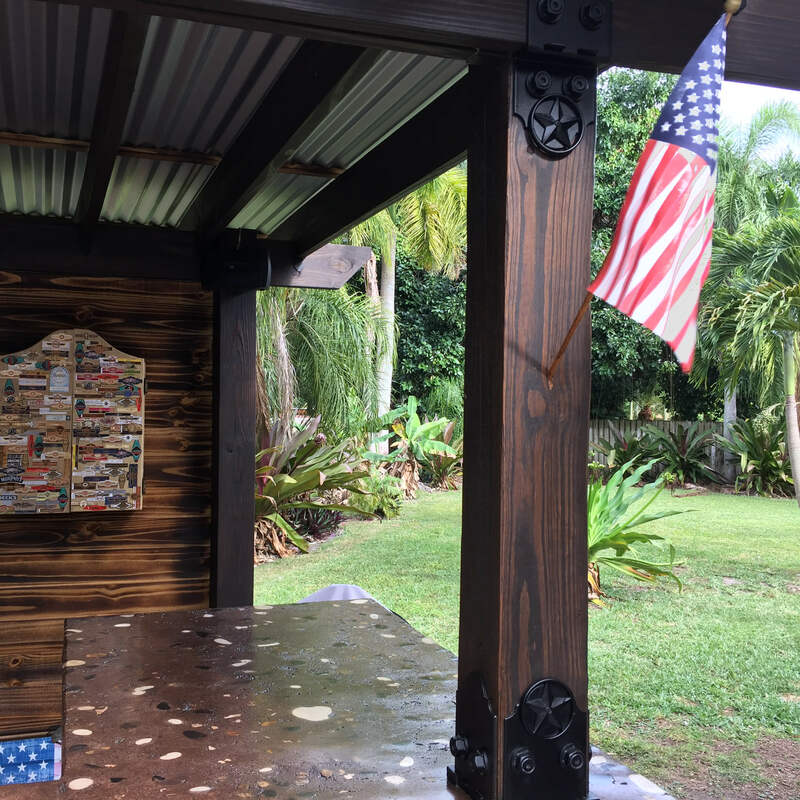 Not only do we offer two stylish mailbox project plans, but they are designed according to the US postal service mailbox specifications, so each will work perfectly with just about any mailbox. Now your biggest decision will be what style of plans and hardware will you choose? Take your pick, build it and enjoy! Needing a shaded spot poolside or an outdoor living area off the house? 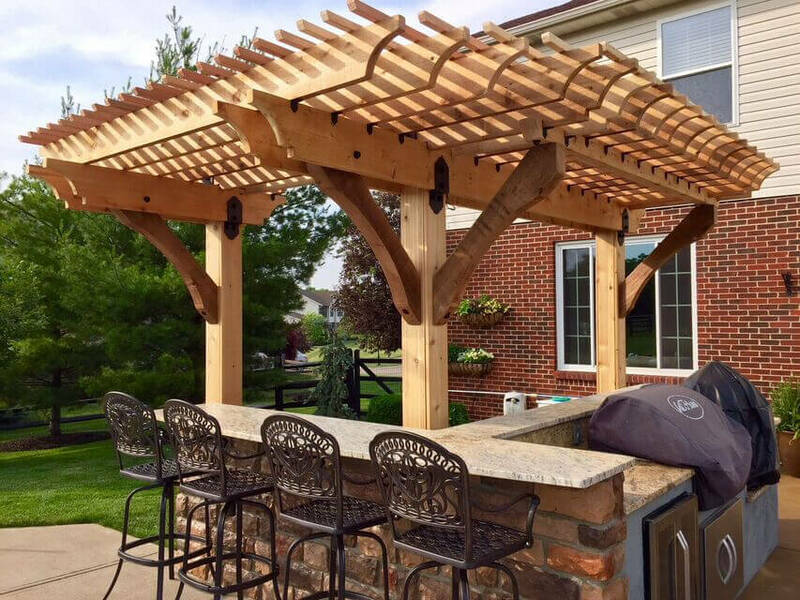 From small to greater shaded poolside spots to an outdoor living area with each of these specialty pergolas have unique features like overhangs or curved joists and rafters each plan offers a great solution to your needs. Every backyard or gathering space can be fully utilized by building multipurpose structures. 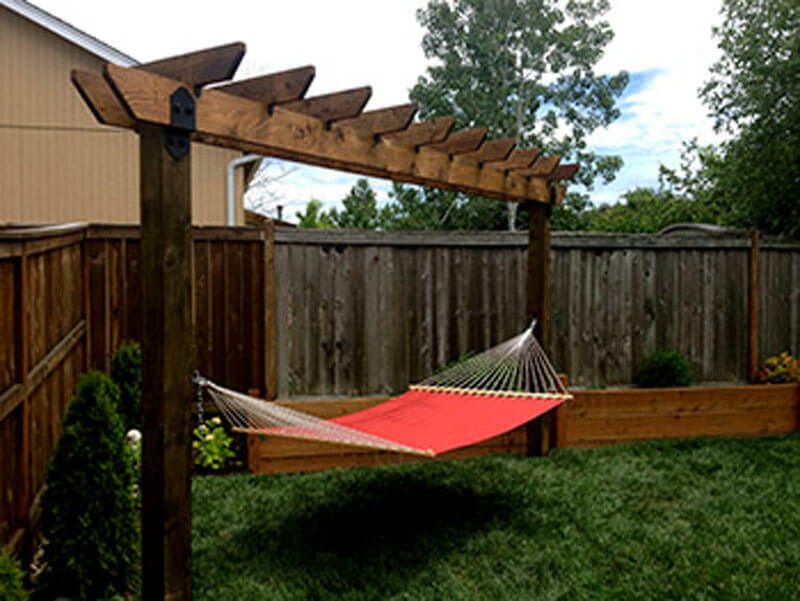 Whether it is a Deck and Pergola combination to create a solid usable space and shade. 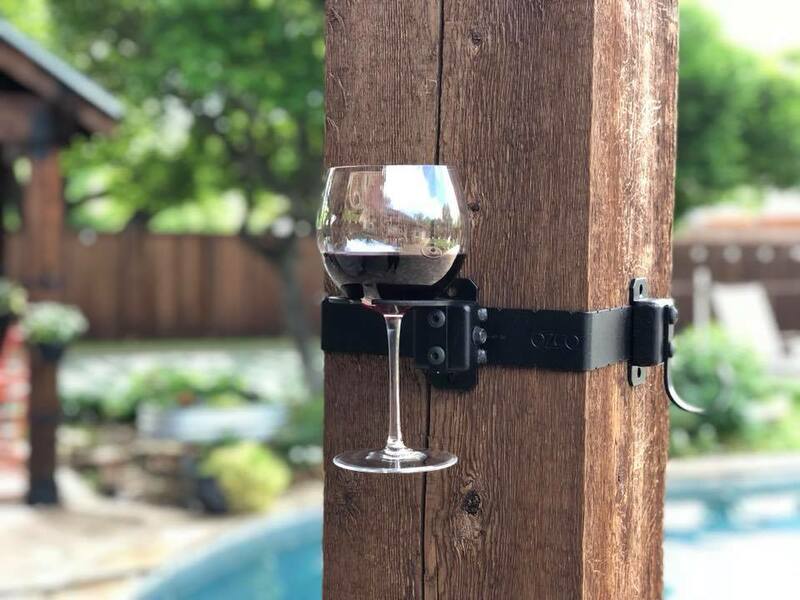 Or perhaps you have an area by the pool that would be better-taken advantage of with a Cabana or Pool Equipment Shed off of a Covered Patio area for plants and to gather under for parties. Maybe you are in need of both a covered area for rainy days and just a bit shade on the sunny ones, our Pergola Pavilion combo structures are just what you are looking for. As everyone knows seating can make a break a gathering, especially outdoor seating areas. OZCO Project Plans take the seat when it comes to options for creating the perfect space to sit and relax! From patio pic-nic table, chairs and benches to the perfect place to hang your swing or hammock our plans will get your project going. 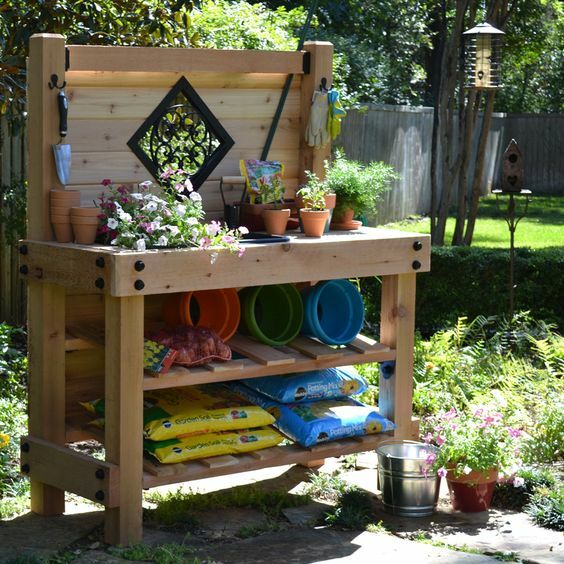 Looking for simple yet elegant ways to spice up your garden or backyard? OZCO Garden Project Plans have a combination of one-of-a-kind designs that will astonish you with their functionality and durability. Build one or build them all. Your outdoor living space got you in a corner? 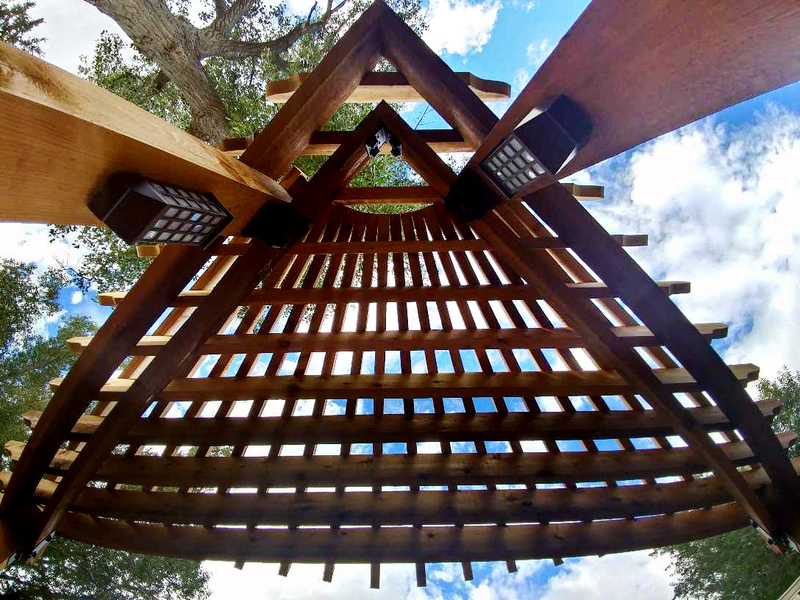 We have just the corner pergola plans to fit your needs. Our Project #334 (Laredo Sunset) and #834 (Ironwood) are just the answer to create a shaded free standing 10’10’x16′ area by the pool or a previously unused area of your backyard.